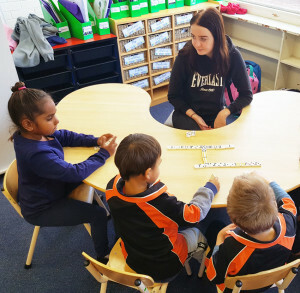 Senior students from the YES Centre have been mentoring junior primary students from Carlton School through the Tentastic program. Tentastic teacher Ms Tabi Franco said students in Year 10-12 from the YES Centre help 5 to 7-year-old students with basic maths and learning to read. She said one of the benefits of the program, which has been running for four years, is the confidence the senior students gain from helping the younger students. “Senior students gain confidence in helping others and also learn valuable skills about how younger students learn so they can help any younger people in their families and any other young people they might come across in their lives,” Ms Franco said. Activities run for about 10-15 minutes and then students change activities. On average, three activities are run each session. 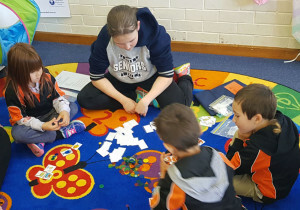 Activities include games for memory, dominoes, as well as reading aloud to students.